Within Arm’s Reach charts the emotional life of three generations of an Irish Catholic family. Shaken reluctantly into self-examination by the unexpected pregnancy of its youngest member, the McLaughlin family is forced to confront ghosts of both past and present, and to re-appraise its values in a world of rapid change. An honest tale of interconnected lives, Within Arm’s Reach shows us that the ‘ties that bind’ are a source of both solace and of pain – at once a curse, a lifeline, an irritant and a cure – they are ultimately unavoidable and indelible. 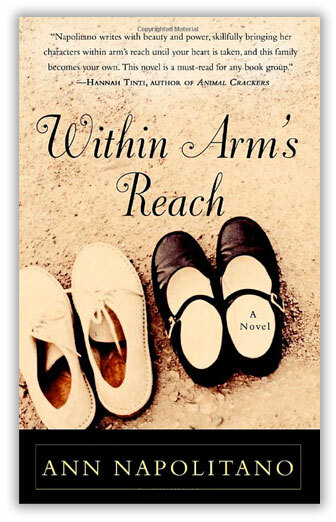 Within Arm’s Reach was published in the United States by Crown Publishing, in the United Kingdom by Time Warner Books/Virago, in Spain by Ediciones Salamandra, and in Germany by Verlagsgruppe Droemer Weltbild.